Actress Saoirse Ronan attends the 27th Annual Palm Springs International Film Festival Film Festival Awards Gala at Palm Springs Convention Center on January 2, 2016 in Palm Springs, California. 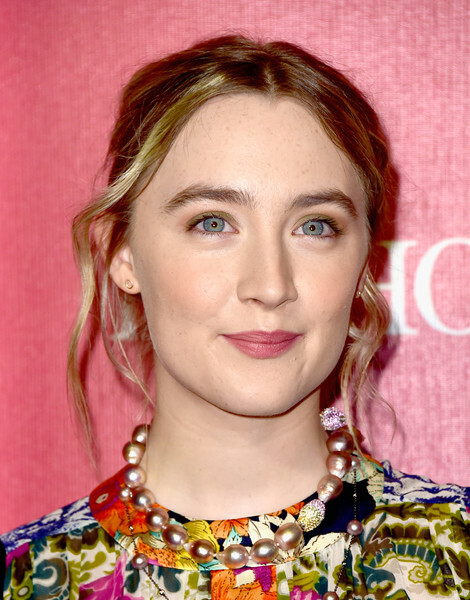 Saoirse Ronan accessorized with a lovely pink freshwater pearl necklace. Saoirse Ronan opted for a messy, center-parted updo when she attended the Palm Springs International Film Fest Awards Gala.